The season for project #1 is now entering its overactive phase. Thibault J. and Antoine M. pictured below are developing a SDR-based tool for analysing the analogue+digital characteristics and quality of satellite signals. The season of Project #1 “Basic technique” is now open. 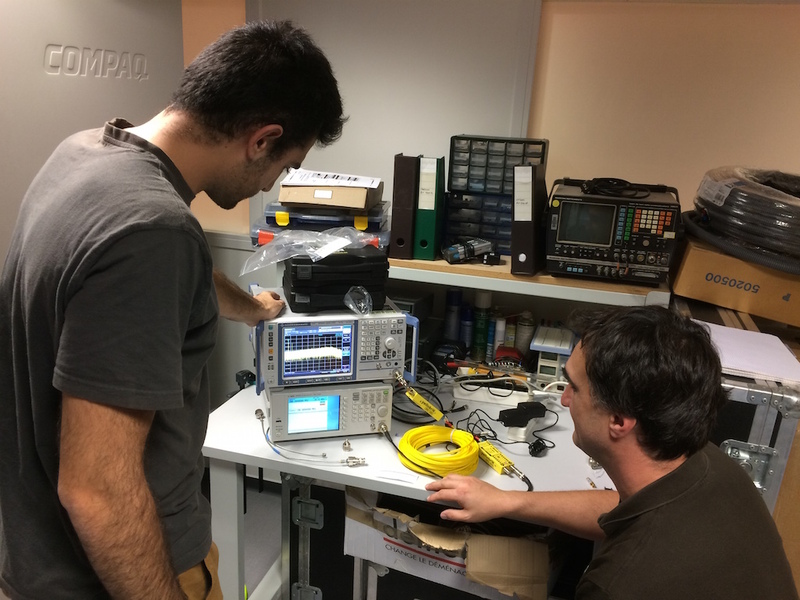 Here, Gérald and Ramon are characterising an L-band to optical transceiver. 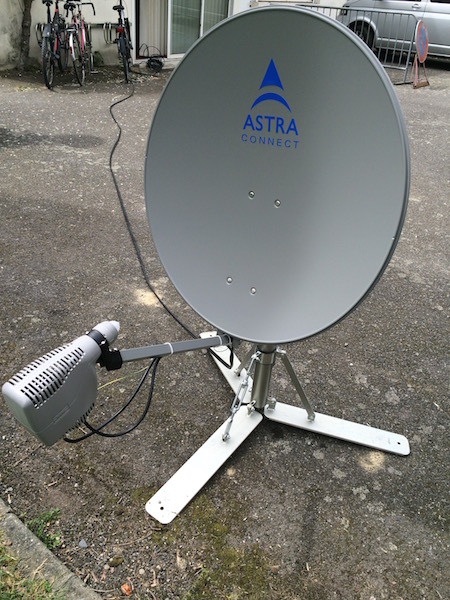 The next step is to replace the coaxial connection to one of our antennas. Students are now out for internship and I haven’t had the time to talk about their projects. Here is one interesting exemple. Anna and Ederson have developed a link budget tool for geostationary satellites. 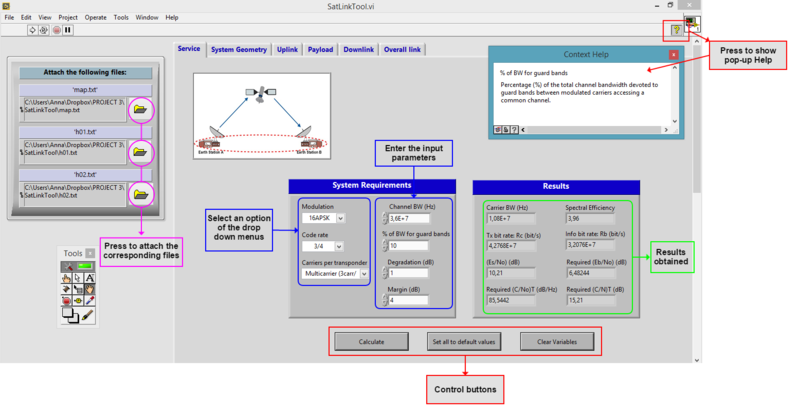 It is written in LabVIEW and named “SatLinkTool”. Their report is available from the project forge that is kindly made available by ISAE. The report includes a link to their defence presentation should you need a short overview. 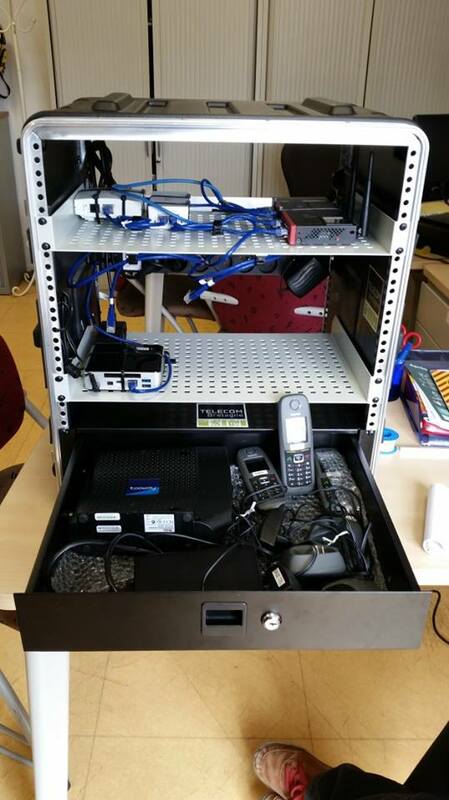 Besides, if you are interested, drop me a line (Laurent Franck at Telecom Bretagne), the files are available. Looking back over the past 18 months, I’m struck by the major leap we achieved in terms of field experimental facilities. To summarise : our lab is now going outdoor. The last (?) piece of this puzzle is our brand new Internet access via satellite. It was made possible thanks to the generosity of SES. Let them be thanked. This Ka-band internet access is a perfect match with the multi-service terminal that was integrated by our students. 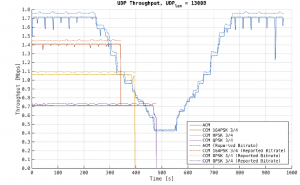 Wired and wireless Internet , wired and wireless VoIP telephony. 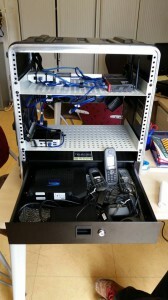 All packaged in a ruggedised 19″ rack with a UPS. Short title for a long subject. 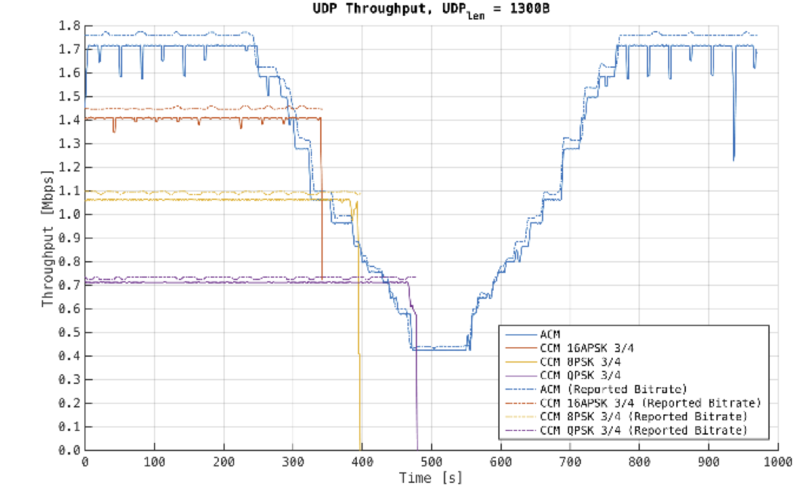 ACM stands for Adaptive Coding and Modulation. It is one of the landmark of the DVB-S2 (compared to DVB-S). Want to know more ? Read about Adrien and Juan Pablo presentation or check their e-report (the e-report will be kept online for some times but not forever). Their presentation (and others) took place on 17th and 18th of December to conclude Project #1 “Basic Techniques”. Car manufacturers are bragging about it: the connected car is for tomorrow. 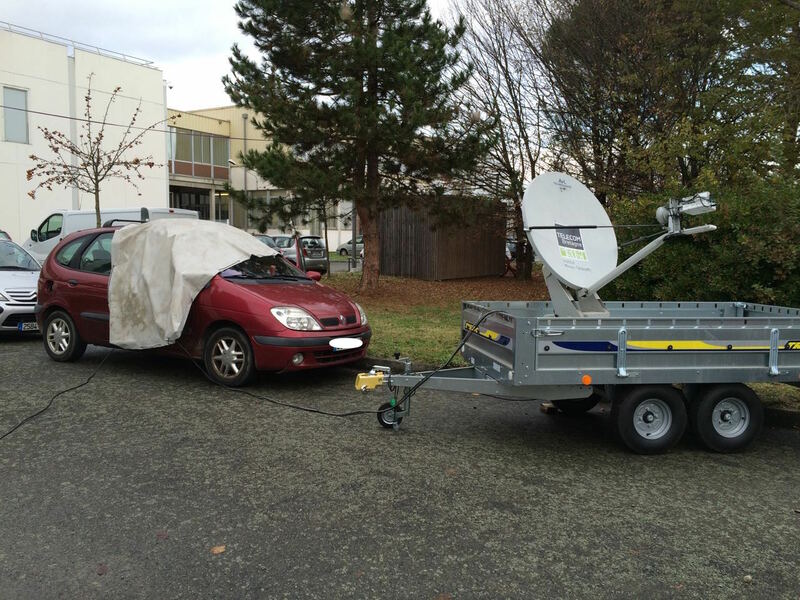 The connected car: in front of our offices. It has everything you ever dreamed of: broadband internet access, anywhere. 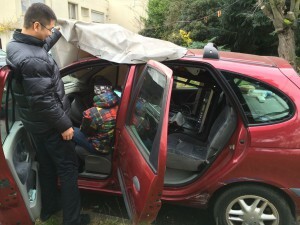 Well, to tell you the truth … it is not exactly *the* connected car. We keep the actual prototype hidden in a secret place. That car is the only shelter that Gustavo and Ke found, while doing some antenna measurements. Yes, today is a rainy day in Toulouse. Gustavo and Ke playing a very clever game called “I have a spectrum analyser and an antenna controller in my car”. Our students’ project (see a prior post on the return of Sputnik) goes well. Joaquin and Matias installed the Pumpkin cubesat kit – without a hassle apparently – and they wrote their first hello world program. Except that – in this case – hello world is a blinking led. Their assignment is to design an RF beacon. This is the first step with an optical beacon. Check out their forge for the latest progress reports. 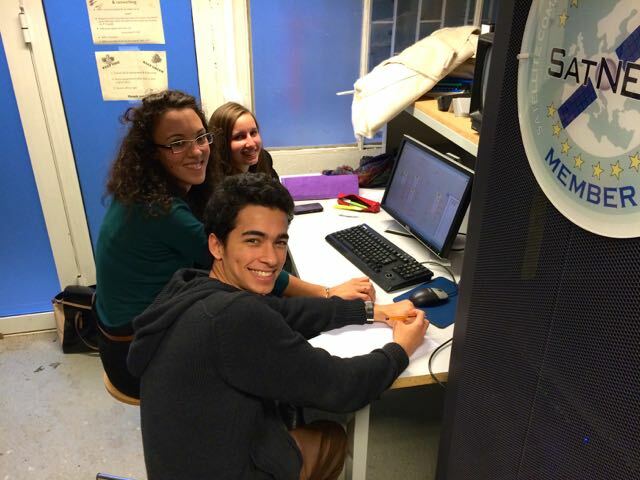 Margaux and Julien are SCS 2014-2015 students. 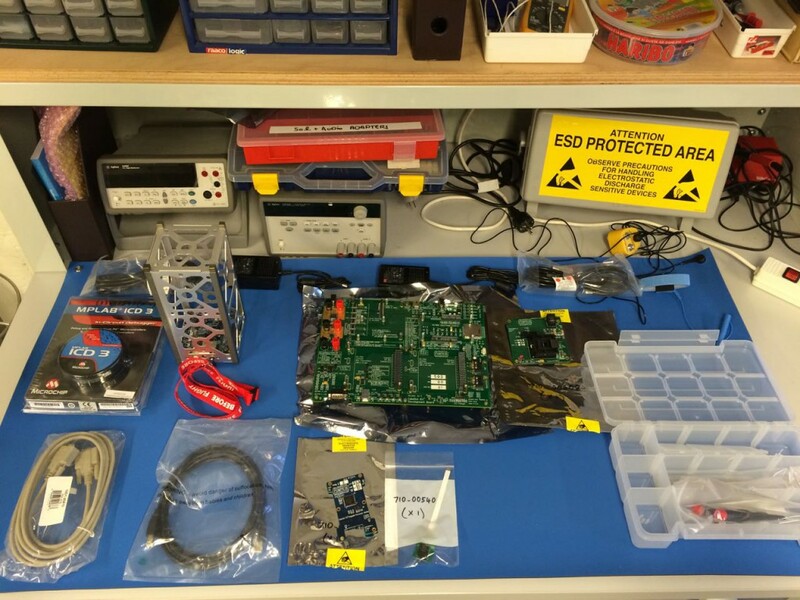 Their “Basic Techniques” project is about receiving and measuring geo satellite beacons by means of software defined radio. Isabelle completed her degree last year and – with her team mate – was involved on that very project. She’s going “back to school” to give Margaux and Julien a hand so they can push forward these activities. Sputnik is alive (or close to). We have received our Pumpkin cube sat kit (see below). Our Pumpkin 2U cubesat kit. Yes, it is really a kit. As the kit is quite bare (and we wanted it to be so), Joaquin and Matias – two SCS students – are busy developing a sputnik-like RF payload. They have just started and we’ll keep you posted about their progress.